If we walk the place of our childhood, comparing it to the place we remember often reveals a stark contrast to the present. Of course, places and people change over time, but the reality of something having changed, perhaps beyond recognition is quite shocking and demonstrates our own state of helplessness in the face of time. Literature, film, art and even music have always been ways to preserve these images, these times, places and people we remember in order to stop the mercilessness of forgetting what once was. In many ways, Chinese director Zhu Xin has therefore chosen one of the fundamental tasks for his first feature, which is art as a means to preserve. Growing up in the city of Hangzhou, he aimed to construct “Vanishing Days” as a kind of map based on how it is now and how he remembers it. In an interview recorded at Busan Film Festival, he states the film represents his doubts about how the city had developed while at the same time dealing with his skepticism towards his identity. So while his film may be a portrait of the city and the way he remembers it, it is at the same time a tale about the nature of memory and how it may be influenced by our imagination. It has been a hot summer in the city of Hangzhou, but besides the muggy weather, 14-year-old Li Senlin (Jiang Li) struggles to finish an essay for school. 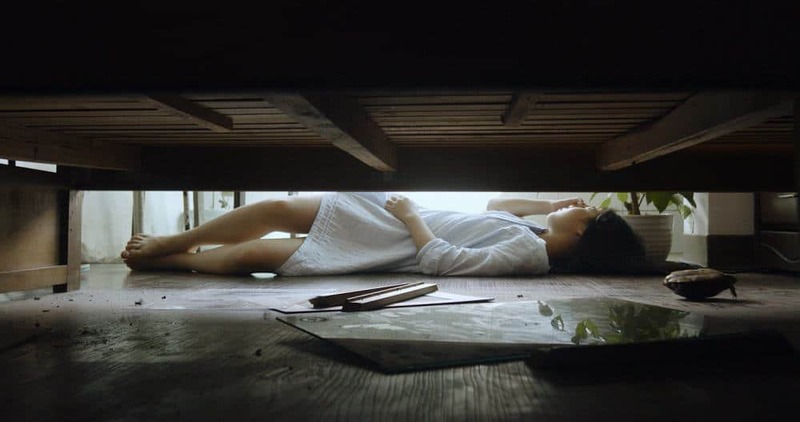 Frustrated by her lack of ideas and her arguments with her mother (Chen Yan), she spends the days mostly lazing around. However, the visit of her aunt (Huang Jin) not only gives her the much needed inspiration for her essay, but also triggers a series of mysterious events such as objects becoming missing all of a sudden. While Li Senlin, her mother and her aunt journey through the city, the young girl hears and experiences the story of her aunt’s husband, about an enigmatic island and how her uncle died. Even though you might expect to have a firm grip over what is real and what is not, Zhu Xin’s narrative quickly suspends this distinction. However, the process he uses is quite clever and quite skillful as the border between memory and reality becomes increasingly blurry over time and seems to dissolve even at times. One of the best ways to describe his approach is to maybe compare it to the films of Apichatpong Weerasethakul or Edward Yang, both filmmakers who have a similar concept of time, memory and space. Considering his ambitious themes, “Vanishing Days” is a surprisingly welcoming movie in the way you quickly accept the world its director has created. Hangzhou, while still recognizable as an urban space, is equally rooted in fantasy and reality as the use of color and light as well as Wei Zhang’s beautifully dream-like cinematography evokes the image of a place beyond the borders of time and memory. The omnipresent heat emphasizes the hallucinatory quality of the setting with characters crossing the lines between what they remember and what they experience. Change is an undeniable fact in the narrative universe of “Vanishing Days”. And while the characters may struggle, preferring the safe haven of memory or fantasy over reality, their environment is defined by the awareness of a constant motion. Nevertheless, by blurring these lines Xin seems to highlight how these layers of our world are not only important, but remains as some kind of echo. “Vanishing Days” is a magical film about memory and time. It is a story about why we remember spaces and people as well as the way this process defines us and our world. Above all, this is the work of a magnificent visual artist, a director whose debut feature will hopefully find a patient and open-minded audience. It certainly deserves it.